In Prince Edward Island a three - year immigration program is being initiated where there an Entry of Additional of 2000 Immigrants to Atlantic Canada under Provincial Nominee Program (PNP). The announcement was made after a joint meeting of the four Atlantic Premiers and Federal Ministers. 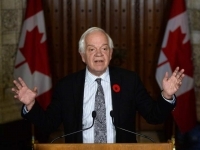 The immigration minister McCallum alleged that Atlantic Provinces are in a need for some cap increase of the immigrants. By the per capita division, 2,000 immigrants will be added to the province. He also indicated that the increase in the number of immigrants is depending on the individual performances and also that it is a substantial increase in the current number of immigrants present in the Atlantic Canada. P.E.I Premier Wade McLauchlan, on the other hand, stated that it is a significant opportunity to balance skilled immigration level in Prince Edward Island. The addition of 2000 people to Canada will be another step forward of population growth and also keep in mind that they contribute to the country.